This Great Backyard Bird Count weekend is unusual in more ways than one. To begin with, this is the first in which I wore shorts outside. Today is Day 3 in the 19th year that the Cornell Lab of Ornithology and National Audubon Society have coordinated this international weekend of documenting birds. It’s a four-day snapshot of what birds are where. Some years, a few days after the count is over, I see a bird that wasn’t on our checklist and think, “I wish that had been here last week.” But that’s the point; as long as the species made someone’s checklist somewhere, all is well for now. A breeze was promising to build Saturday morning, so I started out at 8 a.m. with binoculars. Cardinals, house sparrows, juncos, wild turkey, red-winged blackbirds, gold finches and this flock of mallards made themselves known visually. By 10 a.m., the wind was high. Birds took shelter, skittering into and through the woods. 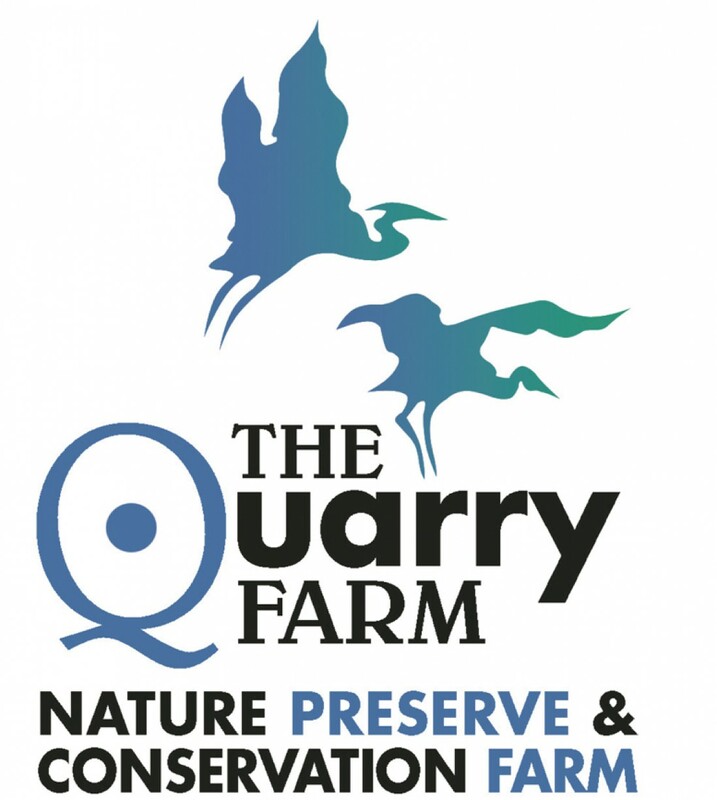 Eight people joined me the scheduled Quarry Farm 2017 Bird Count. All had binoculars and good hiking shoes. Our party of nine walked the floodplain trail, past the quarry, up the main path to cross the back field. We looped back through the oldest tree groves, past the oxbow. Fortunately, our party included a father and son who drove all the way from Jenera in the county to the east. They knew their birds by sight, sound and movement, honing their birding skills by challenging each other to car ride bird identification games. Check out all documented species from “The Quarry Farm Nature Preserve & Conservation Farm, Putnam County, Ohio, US” at http://gbbc.birdcount.org including the entire number that we will file for February 17-20, 2017, and explore the worldwide count. It’s now Sunday evening and there is an American Woodcock buzzing outside the window. That wish I mentioned before? One just came true. As with nearly every other environmentally-minded organization that I can think of, a big part of The Quarry Farm’s mission is education. We hold teacher workshops here, host programs both in-class and on-site for school groups, conduct tours for civic organizations and offer hands-on, guided workshops in organic gardening, water quality assessment, macroinvertebrate identification and a wide variety of other similar programming. Yesterday, the shoe was on the other foot. Representatives of The Quarry Farm attended the annual meeting of the Ohio Odonata Society (http://www.marietta.edu/~odonata/officers.html) in the Buehner Center at Oak Openings Metropark (http://www.metroparkstoledo.com/metro/parksandplaces/index.asp?page_id=510). Highlighting the day’s events were trips to two sites where participants photographed and collected odonates. Bob Restifo, secretary-treasurer for the Ohio Odonata Society, examines a Prince Baskettail. Farm, such as the Unicorn Clubtail and the Prince Baskettail, most are common visitors and residents along Cranberry Run, in the eleven-acre back field and on the quarry. Among the more common species were Blue Dashers, Black Saddlebag, Common Whitetail, Widow and Twelve-spots. What wasn’t nearly as common were the sheer numbers of dragonflies, both in the number of different species present and the number of individuals within those species. And with that increase in numbers came a similar increase in the activity of animals that feed on odonates. Bullfrogs leapt from wetlands and cedar waxwings swooped over grasses snatching these aerial predators for their own meals. In fact, at one of the two sites the cedar waxwings clearly used us to improve their chances of catching a quick bite. They stalked us as we walked the verge of a wetland, waiting until we’d disturbed newly hatched dragonflies from their hiding places and then catching them as they flitted up and away. Bullfrogs leapt from the water to prey on passing odonates. We’d like to take this opportunity to thank the Ohio Odonata Society for the opportunity to spend a day in such an interesting fashion. We’d also like to single out three men in particular: providing a great deal of insight and information were Bob Restifo, secretary-treasurer of the OOS, and Bob Glotzhober, member at large and a former president of the society, both of whom have spent decades studying and collecting odonates; we’d also like to thank Dave Betts, without whose input we’d have missed this incredible opportunity.